"Lives of the Asian Anarchists" No. 2, about Shin Chae-ho, one of the founders of anarchism in Korea. 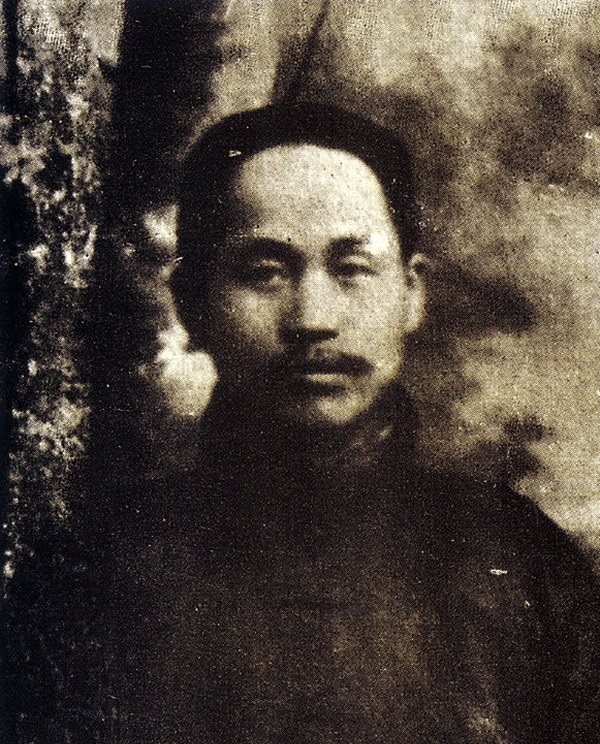 Shin Chae-ho, a veteran of the Korean anarchist movement and regarded as one of its "fathers", was born in 1880 in Chongju, Chungchong province. In many respects, his life bore a striking resemblance to that of Kõtoku Shüsui, the first Japanese anarchist [see LI 1]. By the age of 20, like Kõtoku, he was the foremost Korean journalist of his time, having worked on the prominent Hansong News and Dae Han Daily. His main reputation was as a writer of elegant prose, and his talent was put to good revolutionary use when, in 1923, he was asked to compose the draft of the Korean Revolutionary Manifesto. It was issued by the 'Band of Heroes' (Eiyuldan - see 'Chronology' in LI1),1 a revolutionary terrorist group responsible for a campaign of anti-Japanese violence in the 1920's. Similarly, Kõtoku's journalistic gift was put at the service of the Ashio copper miners in 1907 when, at the request of their representative, he wrote a petition to the Emperor on their behalf. The protest was against copper poisoning caused by the mining company's failure to take safety measures; this incident marked the beginning of Japan's continuing history of fatal pollution problems. Where Shin Chae-ho differed from Kõtoku was in his elaboration of a personal historical vision. His Japanese biographer points out: "What was essential for Shin Chae-ho was to take this image of history and spread it as widely as possible among Korean youth - who in the last analysis would be the bearers of any ideological banners to be unfurled." In a word, Shin's view of history might be described as 'Pan-Koreanism'. It traced the lines of Korean history and culture back as far as the days of the Hun and Mongol empires, and even included Japan as having once been under Korean cultural influence. In his view, therefore, in all of East Asia only Korea could match, in both civil and military achievements, the record of the Hans the Chinese. This was the starting point for Shin's historical vision. If it seems less than anarchistic to us, one has only to remember the total racial and cultural obliteration which Japanese rule aimed at for the Korean people. Needless to say, it provided a solid spiritual basis for the national independence movement. Shin Chae-ho is today one of that rare breed of scholars who receive positive appraisal both north and south of the 38th parallel. It goes without saying that the anarchist side of his character has been obliterated; it is as a pure nationalist that his memory is being preserved, and within the ranks of past Korean scholars that his reputation has been imprisoned. Hence it is all the more important for us to throw light on his anarchist belief. So, what kind of man was Shin Chae-ho? Well, in the first place, it seems that he was generally a bit dirty! Totally heedless of his clothes and overall personal appearance, he would wear things for days even after they turned stiff with sweat and dirt. Nevertheless, this same man was a teacher at the Osan High School, especially set up to teach the offspring of the Korean middle class and using the finest methods of Western bourgeois education. One day, Shin happened to go to the public bath-house with a colleague from school. While they were taking off their clothes, this man noticed that Shin seemed to be wearing a pair of bright red women's bloomers. Queried about them, Shin replied nonchalantly: "Oh, as I was walking along the street yesterday I passed a shop selling these beautiful coloured knickers, so I popped in and bought a pair!" This colleague, Lee Kwang-sop, later recalled in his memoirs the absurd image of Shin Chae-ho the eminent historian, with his bald, pointed head and several days' growth of whiskers because he couldn't be bothered to shave, standing there in a pair of bright red knickers looking totally unconcerned. Another of Shin's idiosyncrasies was as follows: whenever he washed his face, he would do so standing erect, with the result that he always drenched himself with water. When someone asked him what the problem was, he replied: "Because I refuse to lower my head for anyone till the day I die!" Anyway: Shin Chae-ho first entered the anarchist movement in 1928 when he joined the League of Eastern Anarchists, organized in Nanking by the brothers Lee Jung-kyu and Lee Eul-kyu [see 'Chronology' in LI-1]. Members were from China, Korea, Japan, Taiwan, the Philippines, India, Vietnam an Asian Anarchist International, in fact. On the other hand, while it called itself an anarchist organization, it acted more as an international contact point for all those fighting in exile for independence from the Japanese yoke. However, Shin's espousal of anarchism dated from much earlier - at least from the period 1920-23, we would guess. For by the time he came to draft the Korean Revolutionary Manifesto in 1923, he was already clearly an anarchist. It seems that Shin first turned to anarchism after reading Kõtoku's book Rubbing Out Christ - yet another link. There was more to it than that, however. Forced to leave Korea and go into exile early in his life, he saw first the militarism and political repression of the Bolsheviks, then the state of affairs in China, dominated by the Chinese CP. "So this is where the communists lead us; then it has to be anarchism..." he must have felt. In 1929, Shin was involved in plans to set up an Oriental Anarchists' League (Tung-pang Wu-cheng-fu Chu-i-che Lien-meng) in Peking. In order to raise funds for a new magazine, he concocted a plan with a Chinese comrade working in the Peking Post Office. It was arranged that Shin would go to Dairen, Manchuria (then controlled by the Japanese) with a forged international money order provided by the Chinese comrade. By presenting this, he could pretend to have money deposited in Peking, and demand payment in Dairen. Suspicions were aroused, however, when he presented the receipt, and both he and his partner were arrested by the Japanese police. Shin was given 10 years' hard labour on a charge of belonging to a secret organization, but before he could complete his sentence, he died in prison in Dairen on February 21 1936. In conclusion, two points stand out about Shin Chae-ho. The first is that he, a privileged intellectual and established historian, in the course of the independence struggle, turned not as so many did to communism, but to anarchism - inevitable given his experiences. The second was the clear expression in his thinking of that peculiarity of Korean anarchism: the mixture of anarchism and nationalism. In 1945 following the Japanese defeat, some former comrades of Shin Chae-ho including Chong Hwa-am and Lee Ha-yu established in Shanghai a publishing house which they named in his memory the 'Shin Chae-ho Study School'. Here, up till 1949, they printed and published anarchist materials and historical works, until they were closed down by the communists. 1. NOTE: While some anarchists did take part in the Band of Heroes' activities, it is best known as an organization of nationalist terrorists. It provided Park Yul (see Chronology, part I) with explosives for his activities in Japan.